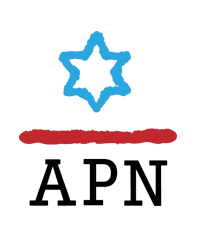 As part of an ongoing series, APN ran this message in the Washington Jewish Week and the Baltimore Jewish Times from Major General (res.) 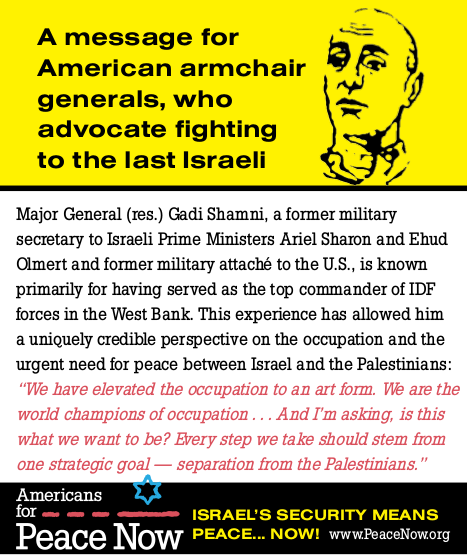 Gadi Shamni, a former military secretary to the Prime Minister, former military attaché to the U.S., and top commander of IDF forces in the West Bank . You can support additional ads by donating here. Former Shin Bet Director Yuval Diskin, "Real security can only be achieved through peace." Former Mossad director Shabtai Shavit on the Israeli government's "blindness"